Every bride wishes to look her best on her wedding day. The beauty preparations start months before the date of the wedding. Just like the wedding attire, bridal make-up and hair trends have changed with time. If you are a bride, this is your guide to Bridal Make-up Trends of 2018! Browse through our glossary of the best cherry-picked trends, so that you can choose your favourite one for the wedding. We have listed below all the latest make-up and bridal hair trends to keep you updated. 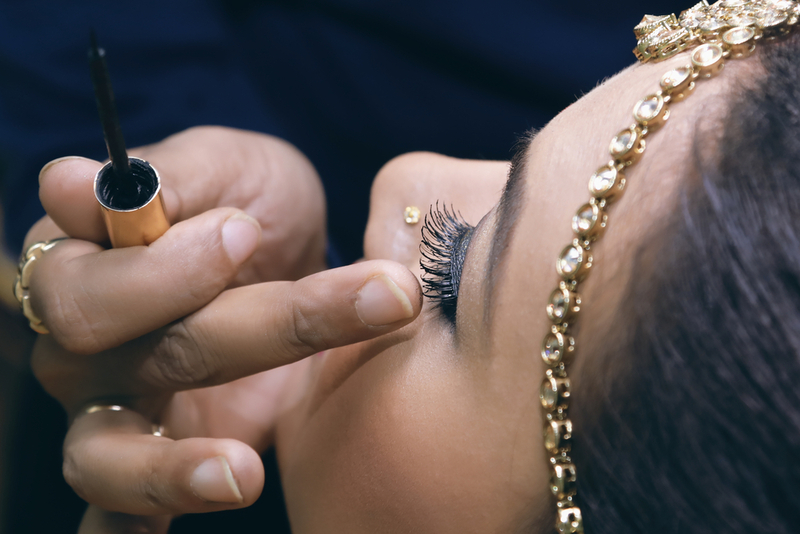 Trust us, these make-up trends transform your ordinary bride to extraordinaire! This has become a classic after the royal wedding. Meghan Markle’s nature look has impressed and inspired a lot of to-be brides. If you are someone who doesn’t like a lot of make-up, you can surely opt for this look. All you need to do is, stick to the earthy tones of lipstick and a dewy looking foundation base. Make-up that accentuates your features and hides your flaws is a must. A well-defined look is definitely in this wedding season. Contouring is the key to achieve this look. Perfectly sculpted cheekbones, temple and jawline would be the area of focus. In addition to this, your best features would be highlighted the right way. This will be ideal for the brides who aren’t comfortable wearing bold shades of lipsticks. A soft pink, brown and rust shade is in. Moreover, this has bid good bye the glossy lips. 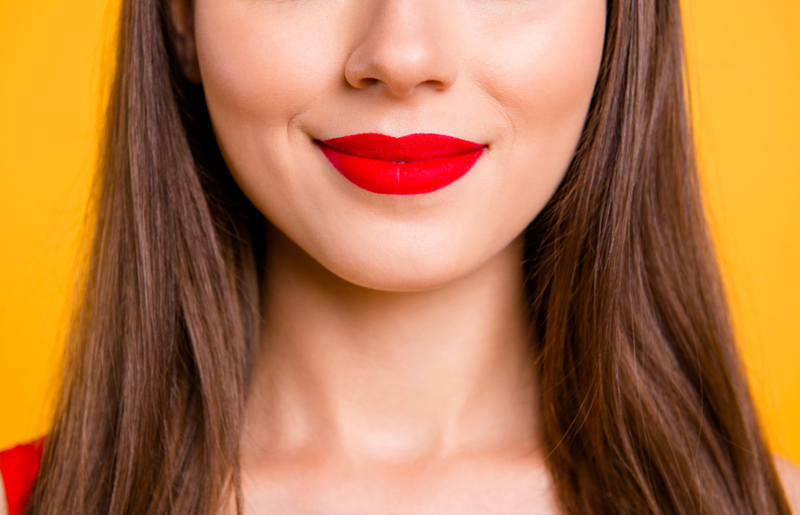 By choosing these subtle shades, you can have a full pout at a day wedding. One of the most sought-after trends, ombre lips have taken over the internet. These are ideal for the night wedding. A combination of colours like red and peach, wine and pink, and a lot more are blended together to create an illusion of fuller lips. Deep smokey eyes work perfectly with soft lips. 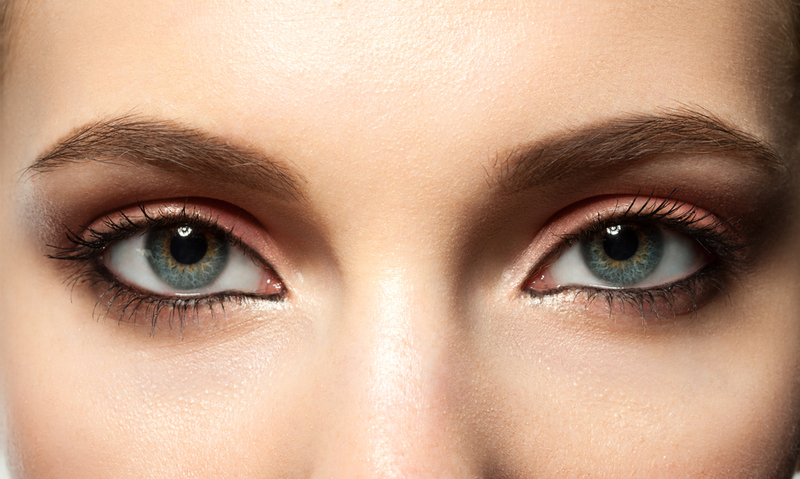 So if you choose softer shades of pink or brown, you can certainly pull all the focus on the eyes. This way the look is balanced and well-coordinated. The key is to keep it simple yet alluring. This is another trend that has taken over the internet. The concept of sunset eyes shows the colours of the sky during the sunset. The eyelids are covered with these colours to give them a more elaborate look. The gold colour on the lid is surrounded by deeper shades. 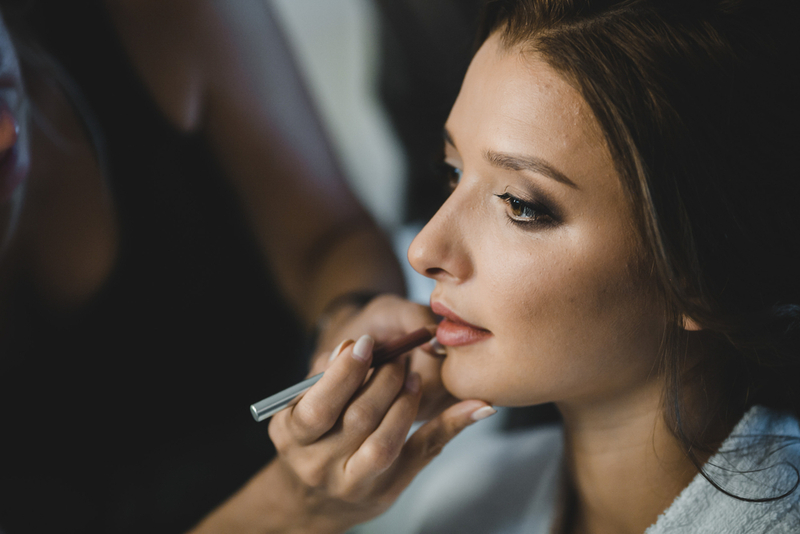 You can ask your make-up artist to create this look to match your wedding attire. Floral headpieces are on-trend with so many tones and colours to choose from. 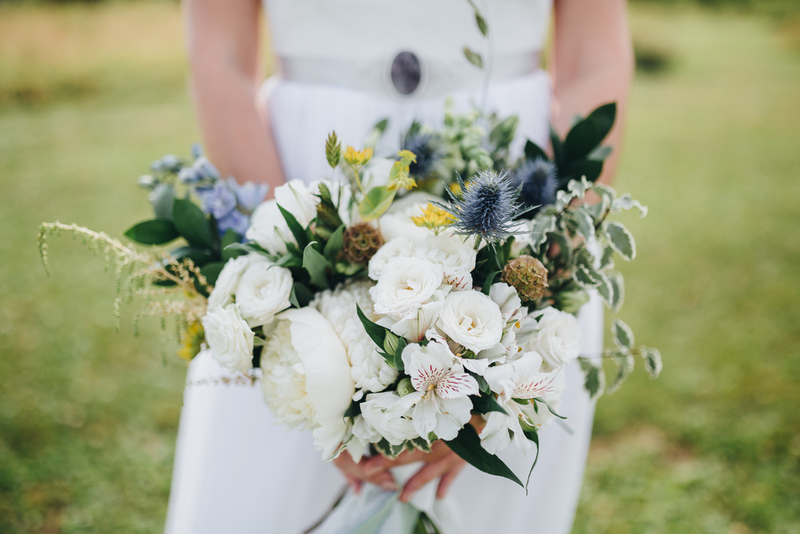 Instead of the artificial floral hair accessories, real flowers will look appealing in the bride’s hair. Go for full-blossomed roses, lilies, hydrangeas and peonies to create an elegant hairpiece to match your attire. Since you are going to be the centre of attention, you need to stand out. 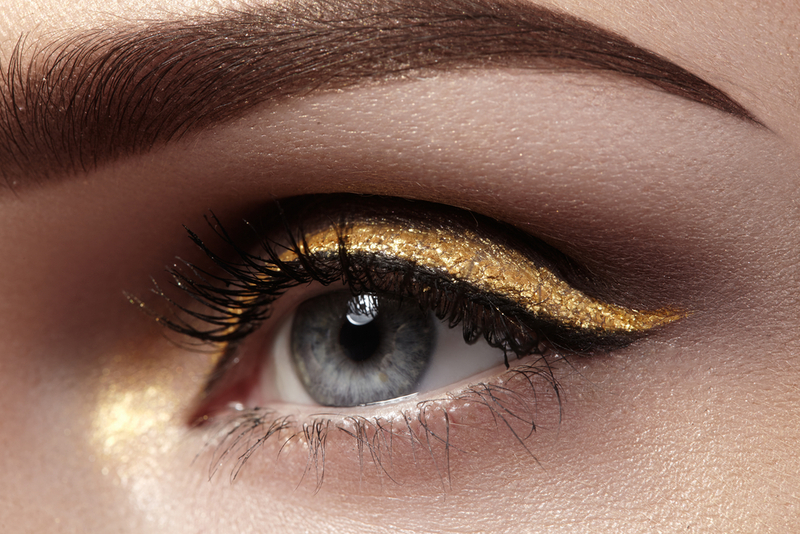 Metal and glitter eyeshadows and eyeliners will blend perfectly with your wedding attire. 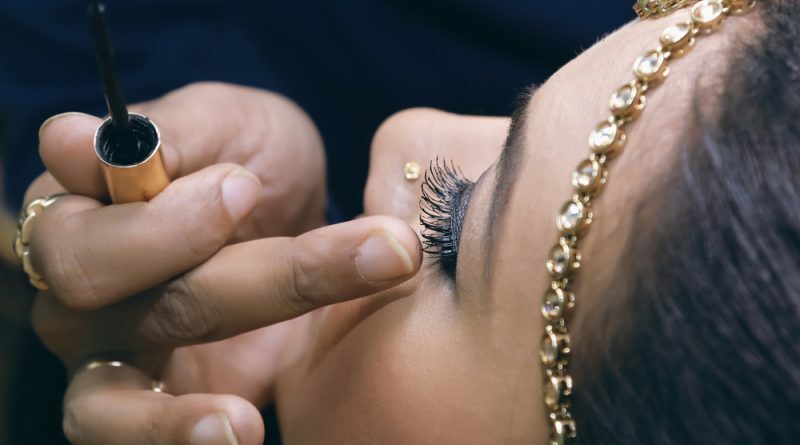 In this wedding season you will barely see fuller and well-defined brows. Brides will have defined, but not bold eyebrows. The natural, clean shape and colour of the eyebrows will be retained. No matter how you wear them, wavy tresses have been in trend for quite a while. This trend remains popular even today. Whether it is in a ponytail or hair down, you wavy locks will add a glamourous touch to your overall look. Tousled, tight or textured, you can achieve an appealing look just by the way your wavy hair falls. 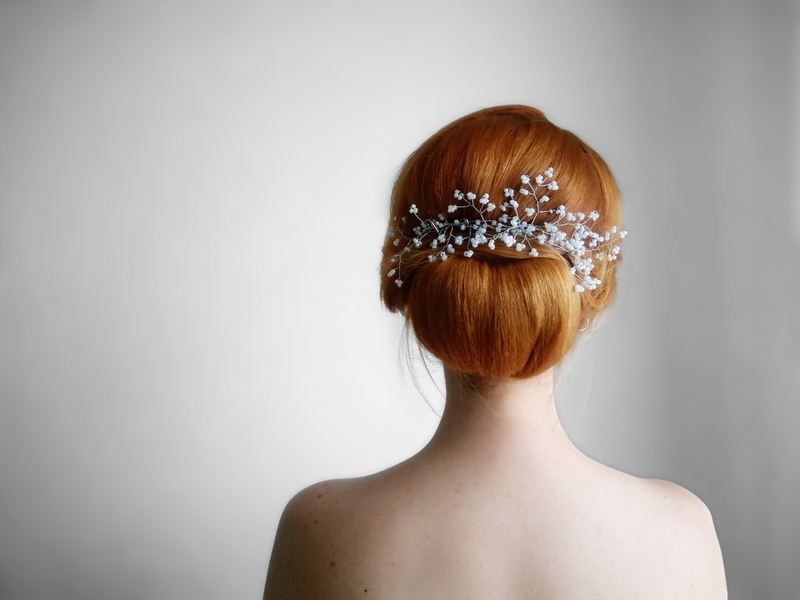 Wearing a low bun is the right way to show off a low-back wedding attire. If you want to go for a more vintage, evening look, ask your stylist to twist, instead of pulling it into an updo or curling it. 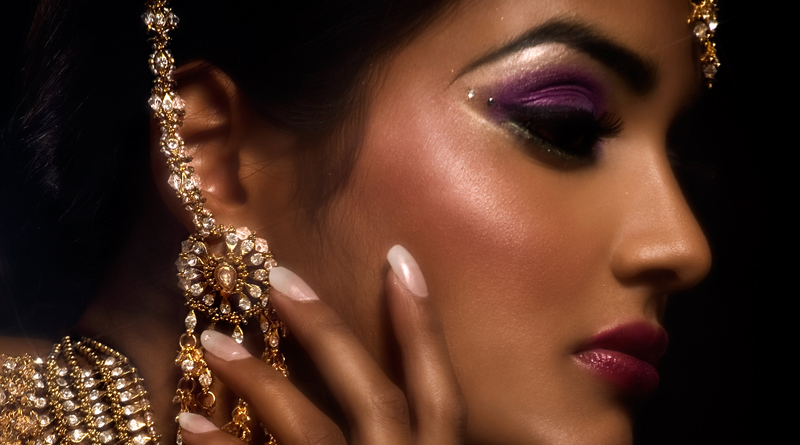 Choose your favourite make-up and hairstyle, and have your stylist do the needful. If you still haven’t found a good make-up artist and hair stylist, At Home Diva can make your job easy. We have a team of skilled professional who are well aware of the latest trends and can prep you perfectly for your wedding.